Conditions encountered in the womb—when the embryo consists of only about 100 cells—can have life-long impact on health. Scientists previously assumed that this is because embryos respond to adverse conditions by programming their gene expression. Now an international team of researchers at the Leiden University Medical Center, Wageningen University and Research, Lund University, Columbia University Mailman School of Public Health in New York propose a radically different alternative. Rather than being programmed by the environment, random differences in gene expression may provide some embryos with a survival advantage, in particular when conditions are harsh. By studying DNA methylation, an important mechanism to control gene activity, the researchers found that a specific part of the DNA methylation pattern was missing among famine-exposed individuals. The findings are published in the journal Cell Reports. The new research was motivated by the observation that people conceived during the Dutch Hunger Winter of 1944-1945 suffer from reduced cardiovascular health in their sixties. This can be attributed to persistent changes in how genes are expressed, through so-called epigenetic modification of the DNA. "We know that a lack of nutrition decreases the likelihood of an embryo to survive. Our new study indicates that surviving famine in the uterus hinged on having a DNA methylation pattern allowing continued growth of the embryo in spite of limited resources. But those same methylation patterns may have adverse health effects much later in life", says Bas Heijmans, epigeneticist at the Leiden University Medical Center. To understand the interplay between epigenetics and survival of the embryo, the researchers took inspiration from evolutionary biology. In evolution, random genetic variation is filtered by natural selection, resulting in accumulation of variants that best 'fit' the environment. A computer model showed that random epigenetic variation between embryos is inevitable, just like genetic mutation. Some of the random DNA methylation variants may enhance an embryo's chance to survive on low nutrition. As a consequence, those epigenetic variants will become more common in cohorts that were exposed to a famine as embryos. "We have always struggled to explain how early embryos would be able to modify specific epigenetic marks in response to nutrition. It is fascinating that selective survival based on random epigenetic variation fits the data best", says Tobias Uller, evolutionary biologist at Lund University. Some health effects of the Dutch Famine only show later in life and those exposed during early gestation seem to be most affected. 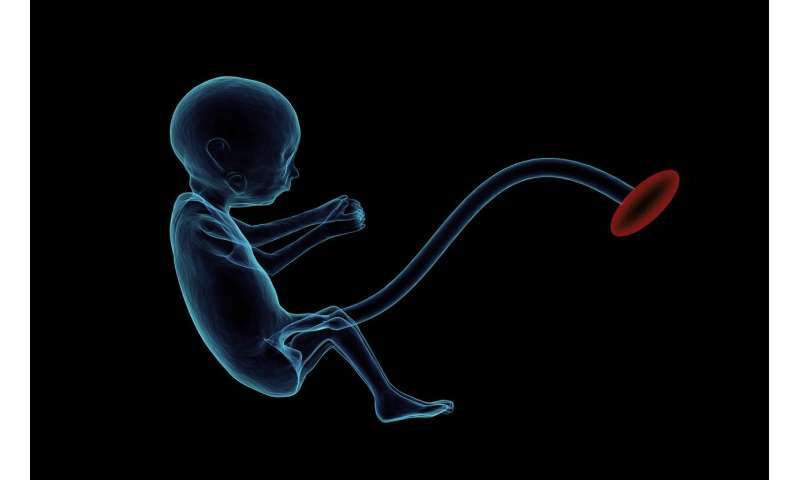 "These findings have often been interpreted as conclusive proof of fetal adaptations in the womb that will lead to adult disease if the adult environment changes for the better. But our findings point to a different mechanism", says L.H. Lumey, MD, epidemiologist at Columbia Mailman School and principal investigator of the Dutch Hunger Winter Families study.